Los Angeles City Councilman Paul Koretz plans to join a group of activists outside the Los Angeles Zoo Saturday to protest the facility’s treatment of Billy, an elephant that has lived there for most of his 30 years. Billy has long been the subject of protests against his captivity, while the zoo has defended its care of the elephant as exceeding the standards set out by the California Department of Fish and Wildlife, the U.S. Department of Agriculture, and the Association of Zoos and Aquariums. 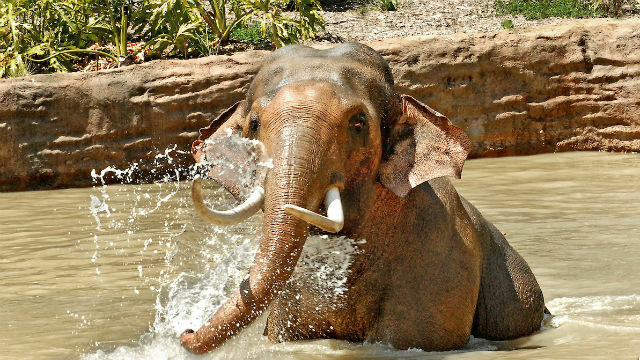 Because males and females living in captivity must be kept separate, none of the zoo’s elephants can use the exhibit’s entire space and Billy does not get the daily exercise he needs to be both physically and psychologically healthy, according to Koretz. The protest is set to begin at 10 a.m.